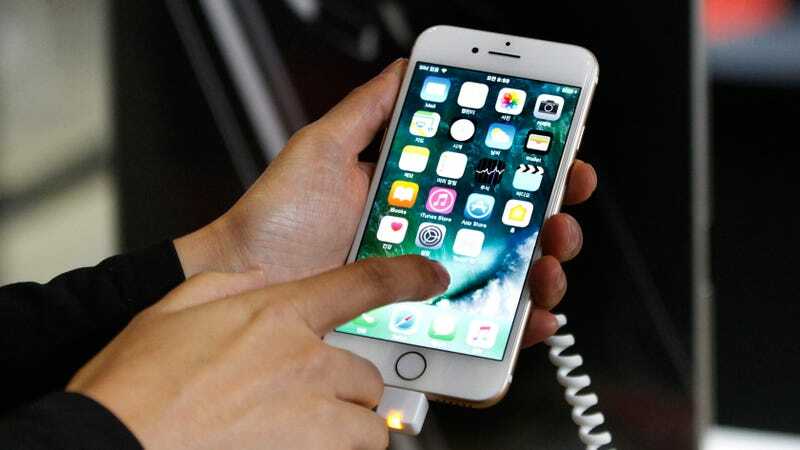 Prosecutors in South Korea’s capital of Seoul said on Friday that they plan to investigate allegations tech giant Apple deliberately slowed down older models of iPhone to push customers towards purchasing pricier newer versions, the Korea Herald reported. According to the Herald’s report, Seoul-based Citizens United for Consumer Sovereignty filed a complaint against Apple CEO Tim Cook and the head of the company’s Korean unit, leading the Seoul Central District Prosecutors’ Office to open a probe with its intellectual property crime unit. CUCS claims that Apple’s decision to throttle older models of iPhone (such as the iPhone 6 and 7 series) with degraded batteries is a scam designed to push Apple customers towards newer, more expensive models of the company’s phones as part of a planned obsolescence strategy. For its part, Apple insists that it only slowed down the phones with the intent of preventing those with aging batteries from being unable to draw enough power during processor-intensive activities, which could result in the phone crashing. Yet the company only publicly admitted that the iPhones in question were being slowed at all after Reddit users and benchmarking firms were able to confirm they were running at a lower speed, before which users were left at a loss as to the cause of the slowdowns. Apple is facing multiple lawsuits in the U.S. claiming the practice was deceptive. The company has since offered heavily discounted battery replacements for Apple customers, as well as promised to remove the secrecy surrounding the throttling in subsequent versions of iOS, but that step hasn’t totally shut down the controversy. This week, Cook promised that forthcoming versions of iOS would let users with degraded batteries turn off throttling entirely—though Apple hasn’t addressed more consumer-friendly measures like designing phones such that users can easily replace their own batteries. CUCS is also filing a compensation suit against Apple and its local division, per the Herald, demanding payments of $2,000 per plaintiff. Per Apple Insider, the Italian government is currently pursuing a similar line of investigation, though it is also determining whether Samsung slowed down phones as well.